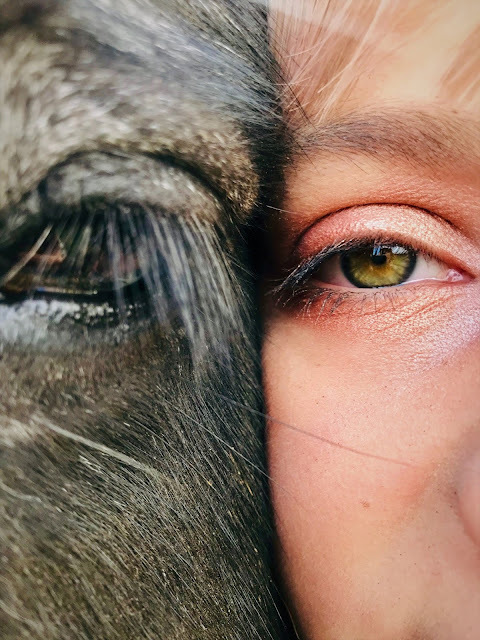 It seems a while since I last posted My Sunday Photo but I really wanted to share a photo my 13 year old daughter took of her and her horse. Gee has struggled a lot recently and we have been trying to boost her confidence and help her to cope with everyday life. Things have been a struggle but hopefully light is at the end of the tunnel. I can't wait to visit everyone else and look at your photos this week. That is a beautiful photo. I'm so sorry to hear that Gee is struggling. I hope you are both able to find a way round it soon. Hi Cathy, I really like this photo. Who knew horses had such long eyelashes? It's hard when our children are struggling, but the power of the unconditional lotalty of an animal can work wonders. I hope your daughter finds light at the end of the tunnel soon. This is beautiful. It would make for a very special framed print.